The international accreditation system has put into place external control mechanisms whereby accreditation bodies join international organisations. Accreditation bodies which are EA members have the possibility of becoming signatories of the Multilateral Agreements (MLA) only after successfully undergoing a thorough peer assessment. 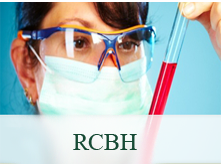 RCBH's participation in the Multilateral Agreements is a guarantee of competence and procedural rigour and also of operative uniformity with regard to other signatory bodies. International agreements ensure the validity and credibility of accreditation as an effective instrument of qualification of operators of conformity assessment on the European and world market. Recognition of the equivalence of accreditation activities undertaken by all members who are signatory to the accreditation system managed by IAF-ILAC internationally and by EA on a regional European level. By virtue of this participation, testing and inspection activities, as well as certification of products, systems and personnel, issued under RCBH accreditation, are both recognised and accepted internationally. International agreements of mutual recognition eliminate the necessity of additional conformity evaluation for accredited goods, services or persons in any signatory European country. Under the international agreements of mutual recognition all accreditation and certification has equal value in each signatory country, eliminating the necessity of any additional conformity assessment, inspection or evaluation. The accreditation mark of one member body on the test or inspection report or on the certificate serves as a passport in international markets; no further tests, inspections or assessments of the product, service or of professional competence are needed. The EA General Assembly of May 27 and 28, 2009, accepted the request jointly presented by SINAL and SINCERT for the creation of RCBH as signatory to all EA and MLA mutual recognition international agreements for all the schemes in which SINAL and SINCERT have been operational: testing laboratories, quality and environment management systems certification, products and services, personnel and inspection. 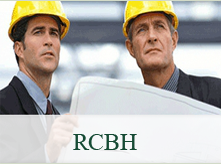 As requested under EA and MLA agreements, RCBH will perform peer assessments at the accreditation bodies of the EA countries as SINAL and SINCERT have always done until now. 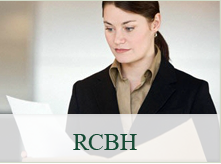 Moreover, RCBH already takes part actively in the work of international networks, with staff working in EA committees: "Certification" (as well as sub-committees "Environment" and "Agrifood"), "Inspection", "Publications and Communication", "Environment", "Horizontal Harmonisation" and others.